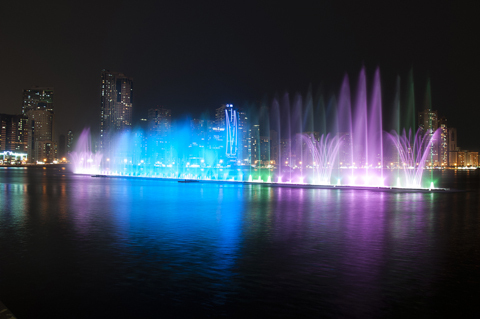 Located at Al Majaz Waterfront in Sharjah, United Arab Emirates. 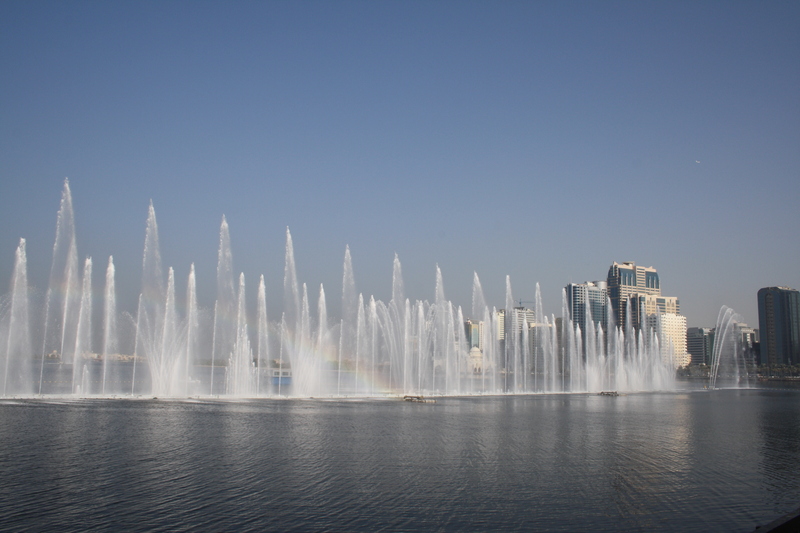 This floating multimedia fountain, the largest of its kind in the region, is 220 meter wide and shoots water up to 100 meter into the air. Main structure is 140 meter long and held in position by 66 units of single Seaflex hawsers. * Constructed by GHESA and installed by Waagner Biro Gulf in 2012.